Description : .Would you like to command a panoramic view of every move about your children, parents, pets at home? Would you like to have a clear view in your shop or housing estate? Is so, you can get this Lenovo IP Camera 3.6mm 1/4 1.0MP CMOS Sensor. Without any settings and you just choose relevant application, security server of Lenovo IP camera will record everything for you. Wherever you are, you can check the video anytime by PC, Pad, Mobile phone, etc. All video information is stored in secured encryption way of E-bank, so you may rest assured its security and privacy. Besides, adopting latest H.264 video compression technology, it will not occupy too much bandwidth and storage space. You can retrospect every wonderful moment and find doubtful object.". 0.3MP 1/3 CMOS 6mm 36LED Night Vision Waterproof P2P IP Camera Dark Gray"
Description : .This 0.3MP 1/3 CMOS Sensor Waterproof IP Camerawith Night Vision and P2P is widely applied for outdoor environment for security. It combines a high quality digital video camera with network connectivity and a powerful web server to bring clear video to your desktop or phone from anywhere on your local network or over the Internet. In addition, It features high quality video, waterproof, night-vision as well as a built in network video recording system. Altogether, this wireless camera is a great home or office security system, donâ€™t miss out!". H-696 1.0MP 1/4 CMOS Sensor 11LED Night Vision P2P IP Network Camera White"
Description : .This H-696 1.0MP 1/4 CMOS Sensor 11LED IP Camera with PSP and Night Vision is widely applied for outdoor environment for security. It combines a high quality digital video camera with network connectivity and a powerful web server to bring clear video to your desktop or phone from anywhere on your local network or over the Internet. In addition, it features high quality video, two-way audio monitoring, night-vision as well as a built in network video recording system. Altogether, this IP camera is a great home or office security system, donâ€™t miss out!". Description : .12-LED Portable Camping Hiking Tent Lamp Light Lantern Outdoor Emergency Light with Compass Decoration is portable and reliable, offering you convenience when you camp out. It can be charged AA batteries for long-lasting performance. You can stretch the lamp body to open hidden part to use as a lantern, click the switch to turn on front light to used as a flashlight or just place it up-side down to server as a candle. Two metal handles are designed for balance when it is hung or carried, or suspend it above to brighten up your campsite. You can randomly adjust brightness for real need!. Description : .Perfect Ice Made -This ice crusher delivers you with perfectly crushed ice every time ,cocktail, smoothie, wine bucket, seafood platter etc Easy To Use - Simply Add Ice to The Top Container and Place Lid Over The Top, Start Turning The Handle Over and Over Easy To Carry - The ideal tool to bring with you to parties and celebrations to create great looking drinks! A great tool for bartenders and drink servers at restaurants High Quality - Made of the ABS and stainless steel material , durable Convenience Ice Made Tool - When the ice is crushed, just place leave it in the crusher and use it as a serving bowl or ice bucket for ice so your guests can freely grab ice for their drinks. Description : .You will be satisfied with this Stainless Steel Egg Shaped Salt Pepper Shaker Table Server Kitchen Gadgets Herb Spice Tool! It is ideal for any kitchen and dining table and will bring beauty to your kitchen life. Made of stainless steel and of fine workmanship, it is easy to wash. Features beautiful design, this high quality kitchen gadget is ideal for any kitchen and dining table. What is more, its own unique egg shaped is sure to add a touch of individuality to your kitchen. It is well worth buying!. Description : .This 9U Assemble Style Iron Network Cabinet with Cooling Fan is especially made of placing network accessories, such as router or fiber optic modem. It is in solid structure, crafted from premium iron material, strong and durable to use. 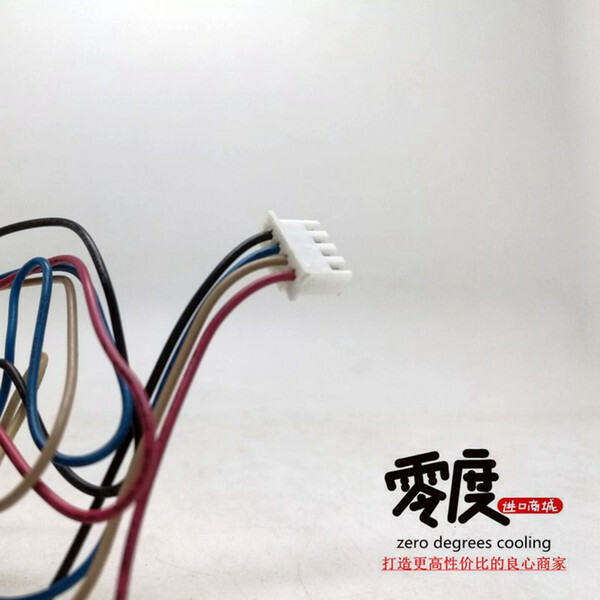 What is more, it is built with a cooling fan for heat dissipation, so as to protect the stored devices from any potential damage. As assembled style, it is easy to operate! Wanna give it a try now? It will surely be your good helper!. Description : .This 18U Assemble Style Iron Network Cabinet with Cooling Fan is especially made of placing network accessories, such as router or fiber optic modem. It is in solid structure, crafted from premium iron material, strong and durable to use. 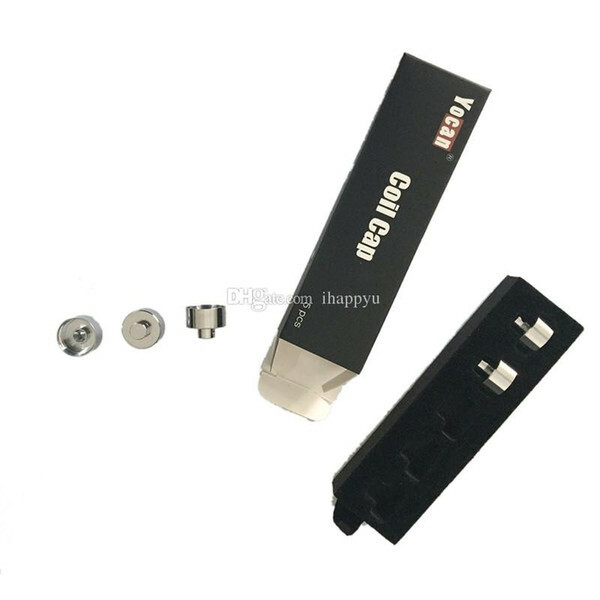 What is more, it is built with a cooling fan for heat dissipation, so as to protect the stored devices from any potential damage. As assembled style, it is easy to operate! Wanna give it a try now? It will surely be your good helper!. Description : .Outdoor 36 LEDS Solar Light Lantern Rechargeable Tent Lamp Hand Crank Dynamo for Camping Hiking is portable and reliable, offering you convenience when you camp out. It can be charged AAA batteries or solar energy for long-lasting performance. You can stretch the lamp body to open hidden part to use as a lantern, click the switch to turn on front light to act as a flashlight or just place it up-side down to server as a candle. The handle is designed for balance when it is hung or carried, or suspend it above to brighten up your campsite. Most of all, this camping lamp supports hand crank dynamo. How intelligent and convenient!. Description : .5W 200LM Ultrafire New Type Solar Charging LED Camping Lantern Lamp is portable and collapsible, offering you convenience when you camp out. It can be charged by solar energy, battery and AC power. You can stretch the lamp body to open hidden part to use as a lantern, click the switch to turn on front light to used as a flashlight or just place it up-side down to server as a candle. The trusty foldaway handles allow you to carry the lamp by hand with ease, or suspend it above to brighten up your campsite. Let this camping lamp bring you convenience all the time!. Description : .5W 200LM Ultrafire Portable Solar Charging Emergency Lighting LED Camping Lantern Lamp is portable and collapsible, offering you convenience when you camp out. It can be charged by solar energy, battery and AC power. You can stretch the lamp body to open hidden part to use as a lantern, click the switch to turn on front light to used as a flashlight or just place it up-side down to server as a candle. The trusty foldaway handles allow you to carry the lamp by hand with ease, or suspend it above to brighten up your campsite. Let this camping lamp bring you convenience all the time!. Description : .2 in 1 Portable Shockproof Solar Camping Light LED Lantern Home Garden Light is handy and collapsible, offering you convenience when you camp out. It can be charged both by solar energy and AC power. You can stretch the lamp body to open hidden part to use as a lantern, click the switch to turn on front light acting as a flashlight or just place it up-side down to server as a candle. The trusty foldaway handles allow you to carry the lamp by hand with ease, or suspend it above to brighten up your campsite.. Description : .Retractable Camping Tent Solar Lantern Outdoor Portable Emergency LED Light Lamp is portable and collapsible, offering you convenience when you camp out. It can be charged by solar energy, battery and AC power. You can stretch the lamp body to open hidden part to use as a lantern, click the switch to turn on front light tobeused as a flashlight or just place it up-side down to server as a candle. The trusty foldaway handles allow you to carry the lamp by hand with ease, or suspend it above to brighten up your campsite. Let this camping lamp bring you convenience all the time!. Description : .SH-518 Retractable Camping Tent Solar Lantern Outdoor Portable Emergency LED Light Lamp is portable and collapsible, offering you convenience when you camp out. You can stretch the lamp body to open hidden part to use as a lantern, click the switch to turn on front light to be used as a flashlight or just place it up-side down to server as a candle. The trusty foldaway handles allow you to carry the lamp by hand with ease, or suspend it above to brighten up your campsite. Let this camping lamp bring you convenience all the time!. 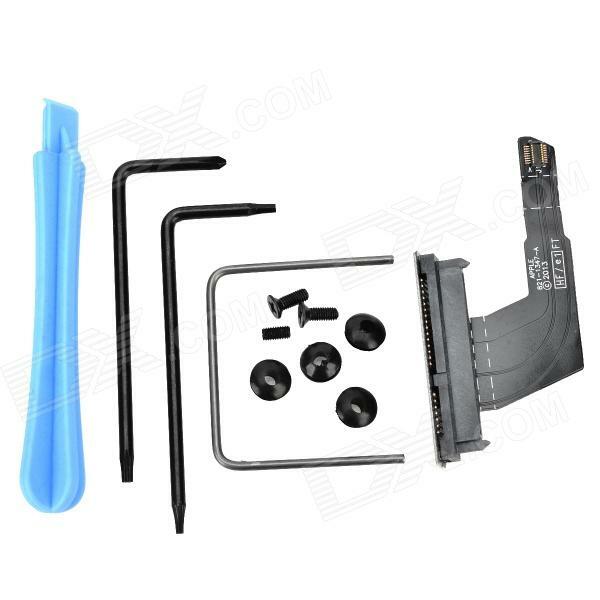 Description : .This SSD to HDD 2.5 Inch to 3.5 Inch Screw-Less Hard Drive Holder fits all the laptops, all-in-one PCs, servers and more. 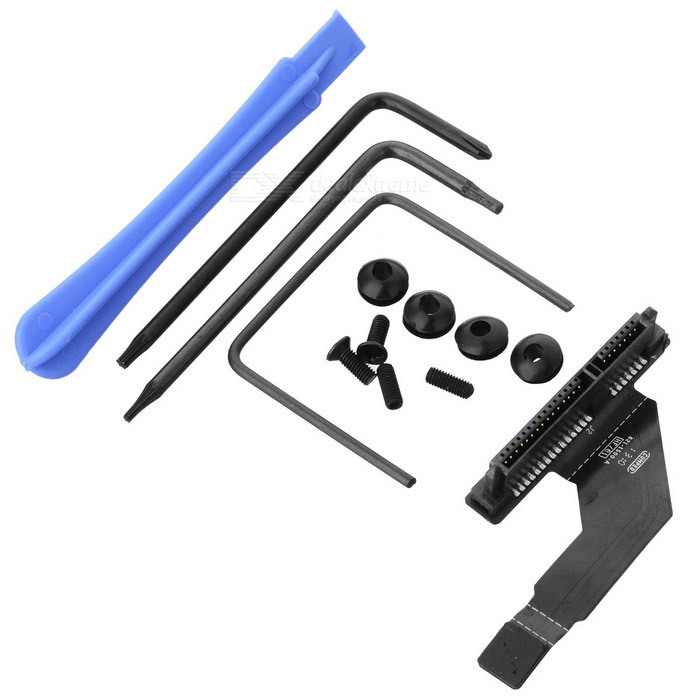 It is designed to install 2.5 HDD or SSD into a laptop lack of support for second bay drive and can be installed quickly. Full plastic construction means lighter weight. 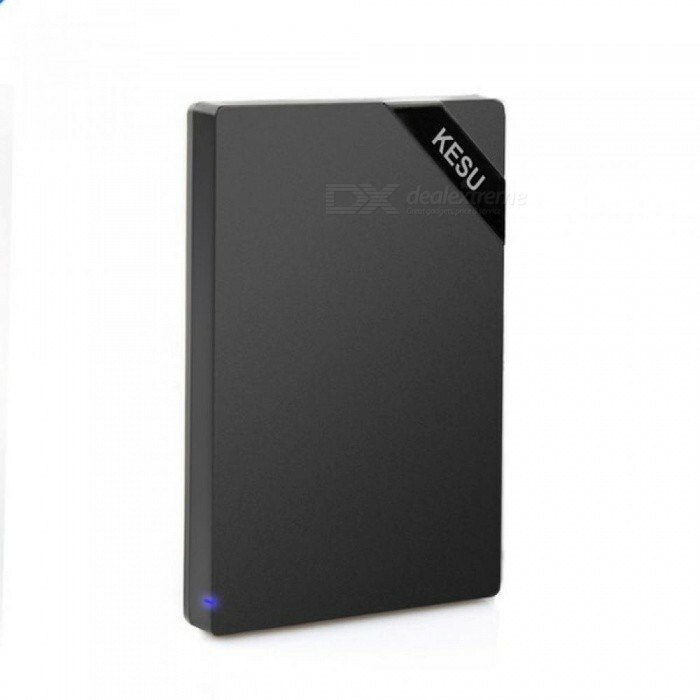 It is highly compatible with 2.5" solid state drive/SATA harddrive with thickness of up to 9.5mmClick and order now!". Description : .Make cooking faster with 7pcs Nylon Kitchen Utensil Set Heat-proof Kitchenware with Stand! It is made of durable nylon and is safe to use on all types of cookware, including non-stick coated pans. The complete set includes a ladle, a solid spoon, a slotted spatula, a slotted spoon, a whisk and a pasta server, covering all your basic kitchen needs. Ergonomic handle feels good while protecting you from the heat. And it comes with a convenient rotating stand that sits firmly on the counter to save space and keep your tools organized. DonÂ´t hesitate to get one!. Description : .The Flat Knitted CAT-7 CAT7 RJ45 10Gbps Ethernet Cable LAN Network Cord offers high speed connectivity to computers and network components, particularly ideal for server applications, cloud computing, video surveillance, and online high definition video streaming. This cable provides exceptional transmission performance and low signal losses. Knitted PVC wrap is flexible, durable and flame-retardant. Additionally, we offers different lengths for you to choose. With such high quality and affordable price, it surely is your ideal choice. DonÂ´t hesitate to get one!. Description : .4W 350LM 6 x 3528SMD LED White Light Solar LED Camping Lamp Lantern Collapsible Rechargeable Light is portable and collapsible, offering you convenience when you camp out. It can be charged both by solar energy and AC power. You can stretch the lamp body to open hidden part to use as a lantern, click the switch to turn on front light to used as a flashlight or just place it up-side down to server as a candle. The trusty foldaway handles allow you to carry the lamp by hand with ease, or suspend it above to brighten up your campsite.. 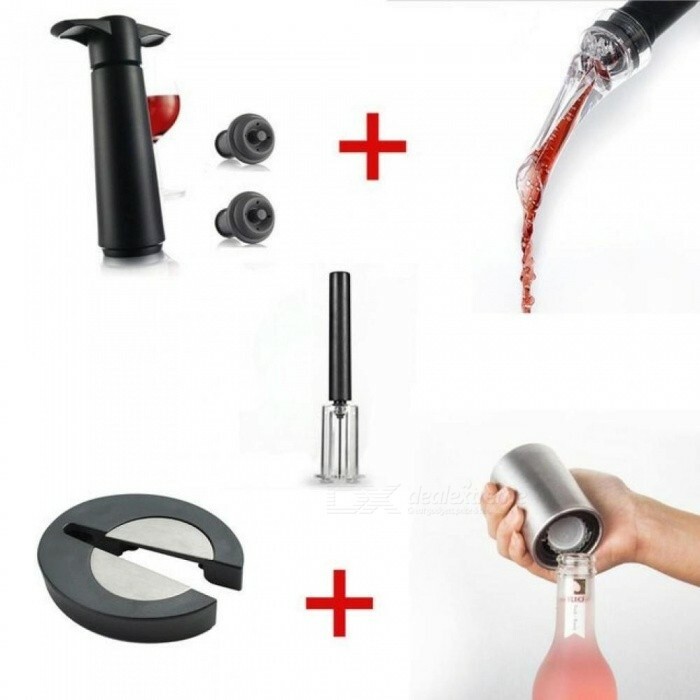 Description : .5PCS/Set For Wine Bottle Opener, Foil Cutter, Wine Aerator, Wine Preserver And Steel Bottle Opener Best Gift For Lover 5pcs/ Set. 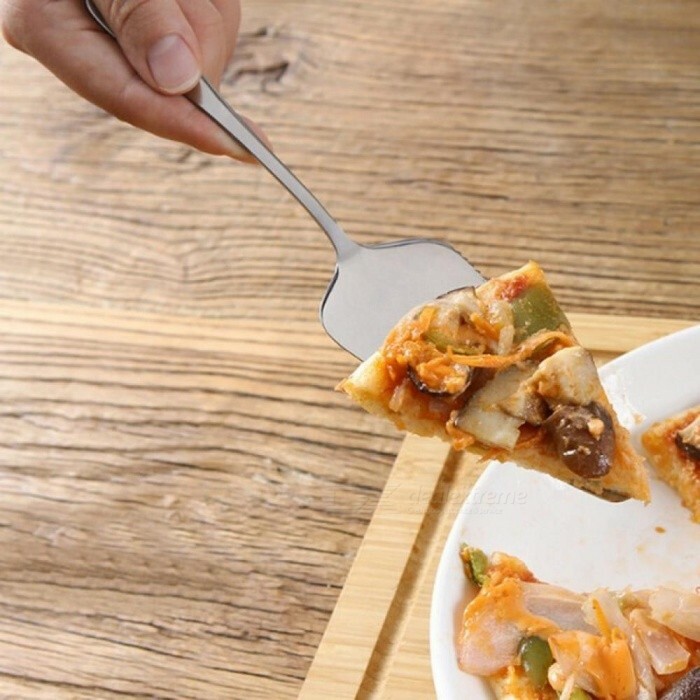 Description : .3 Type Stainless Steel Serrated Edge Cake Server Blade Cutter Pie Pizza Server Cake Cutter Shovel Kitchen Baking Pastry Spatulas Stainless Steel. 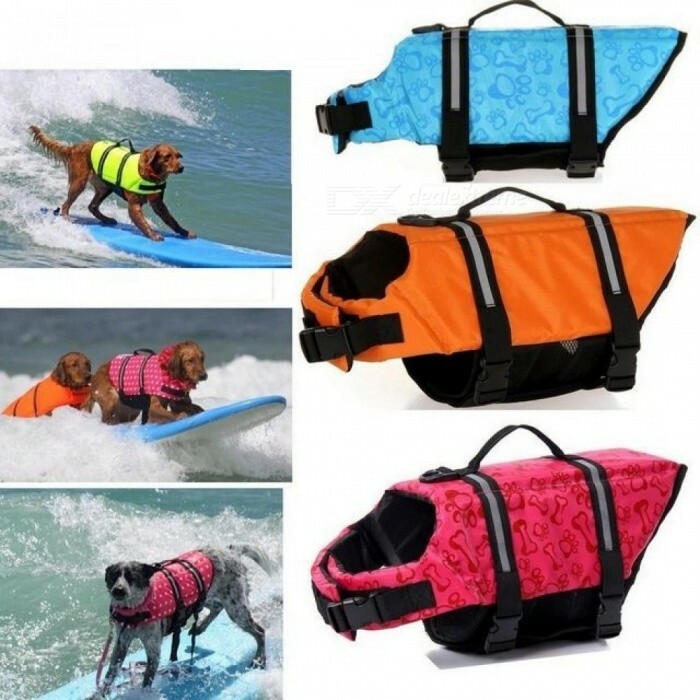 Description : .Pet Dog Life Jacket Safety Clothes Life Vest Collar Harness Saver Pet Dog Swimming Preserver Clothes Summer Swimwear 5 Sizes XXS/Red Bone Pattern. 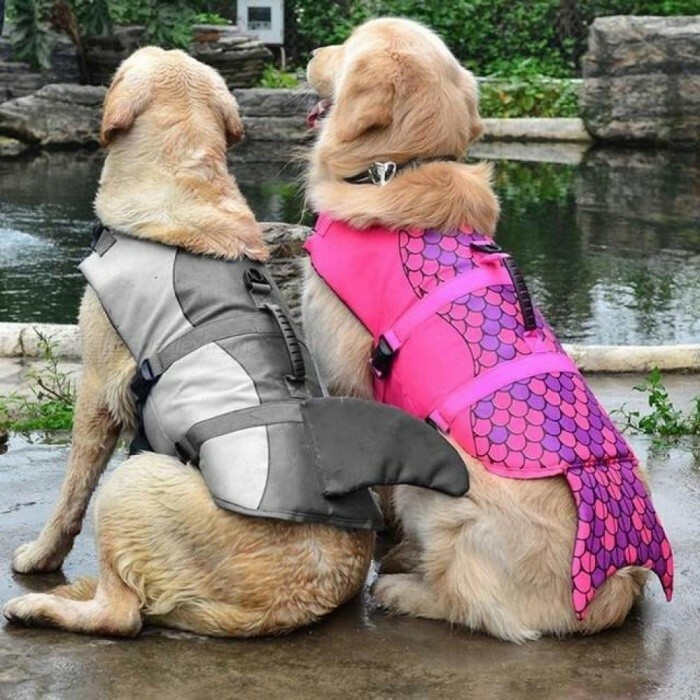 Description : .Pet Safety Vest Dog Life Jacket Doggy Puppy Safety Clothes Saver Shark Mermaid Swimming Preserver Swimwear Clothing Size S/M/L S/Gray. 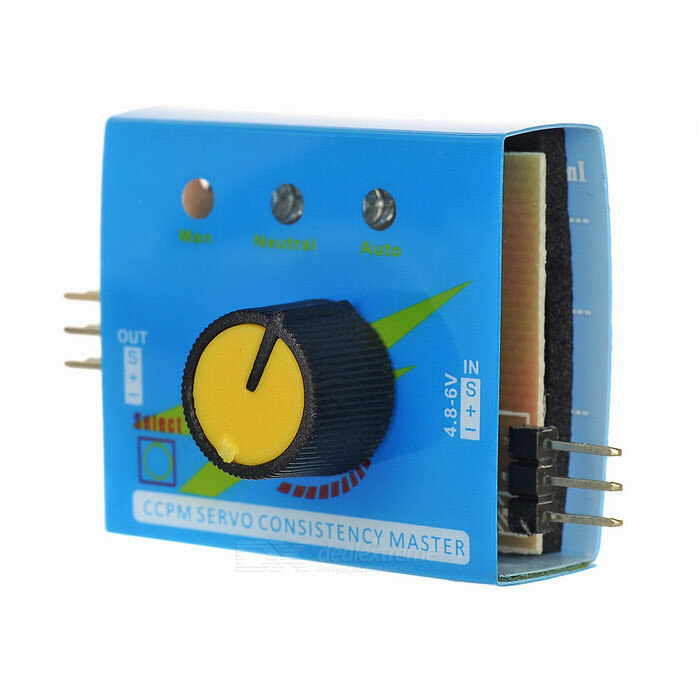 Description : .CCPM SERVO Consistency Master Server Test - Blue + Black. 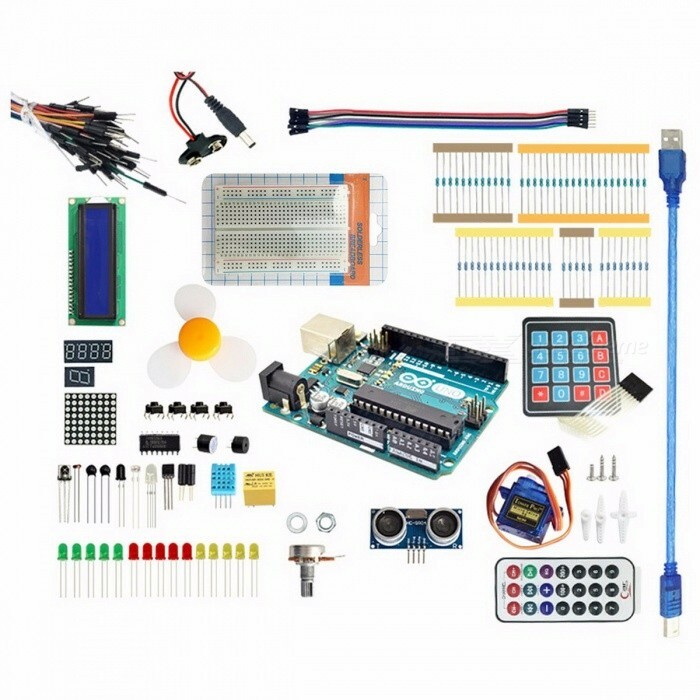 Description : .Arduino Starter Kit for Arduino Uno R3 - 9G Server / Arduino Sensor / 1602 LCD / Jumper Wire / UNO R3 / Resistor green. 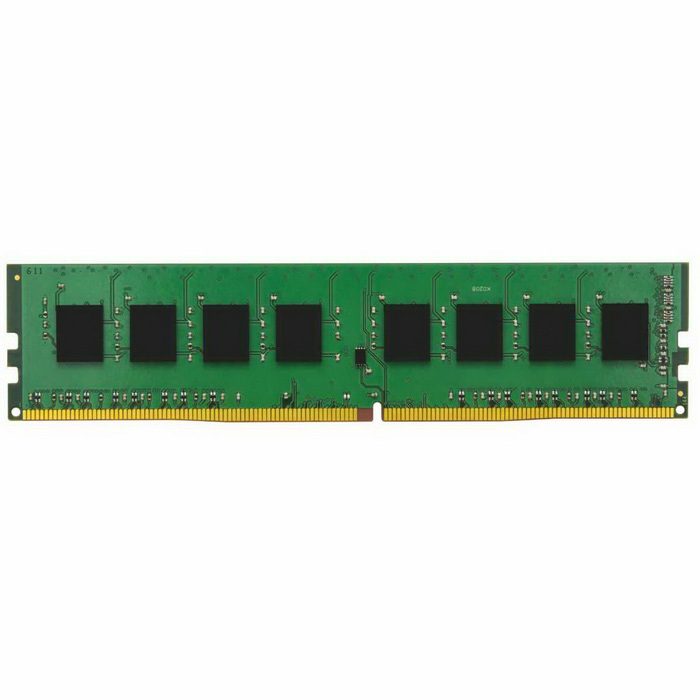 Description : .Kingston Technology ValueRAM KVR21N15S8/4 4GB Server Memory. 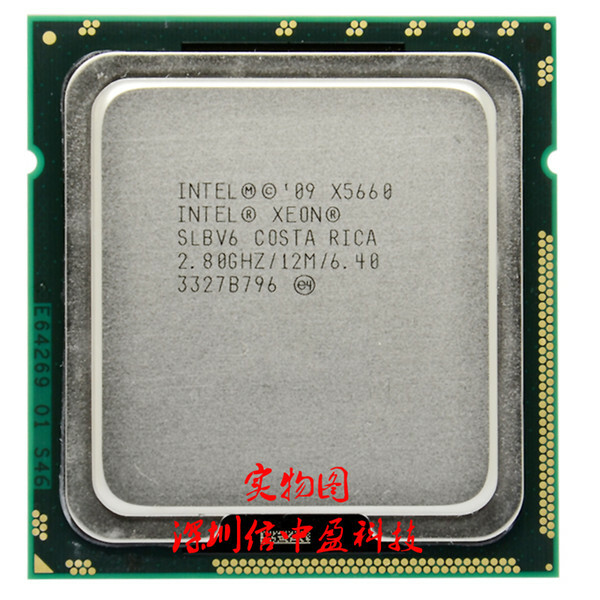 Description : .Winyao WY574T Intel WG82574L Chipset PCI-E X1 Server Gigabit Network Card Adapter - Green. 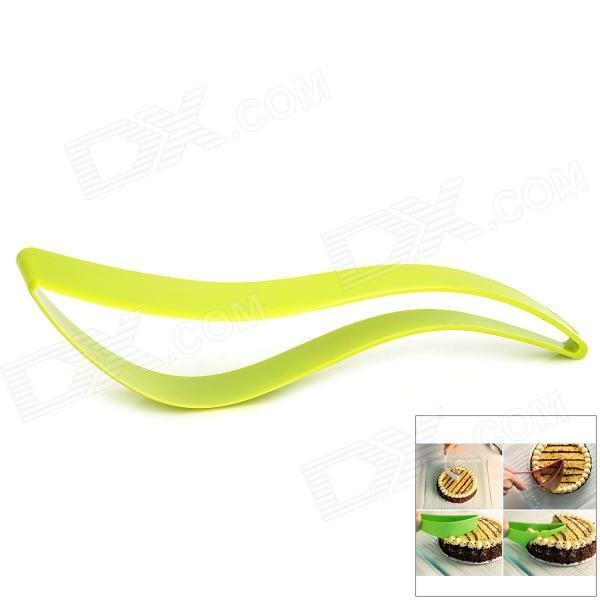 Description : .Food-Grade Plastic Cake Slicer Server - Green. Description : .Winyao WYI210T1 PCI-E X1 Server Gigabit Network Card Adapter w/ Intel I210T1 Chipset - Green. 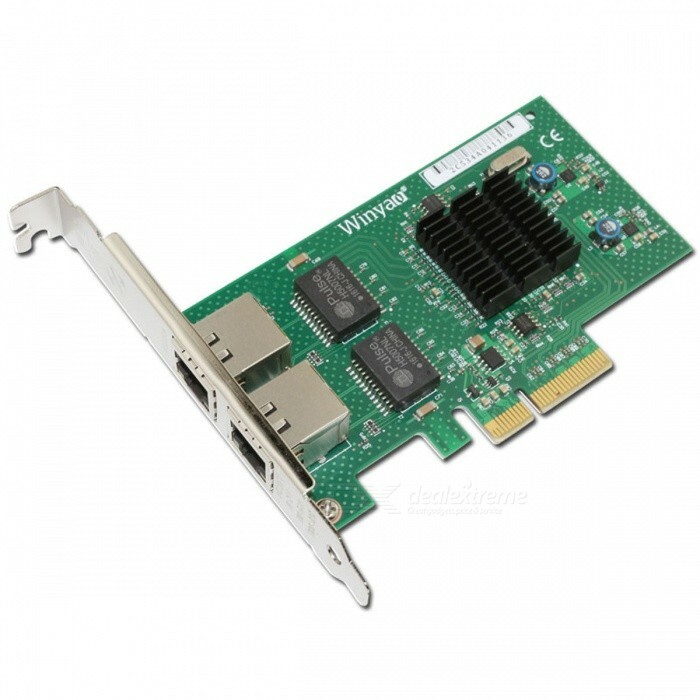 Description : .Winyao WY576T Dual Port Copper Gigabit Ethernet PCI Express Server Adapter w/ Intel 82576 Chipset. Description : .Winyao WYI350F2-SFP Dual Port SFP Gigabit Ethernet PCI Express Server Adapter Intel I350 Chipset. 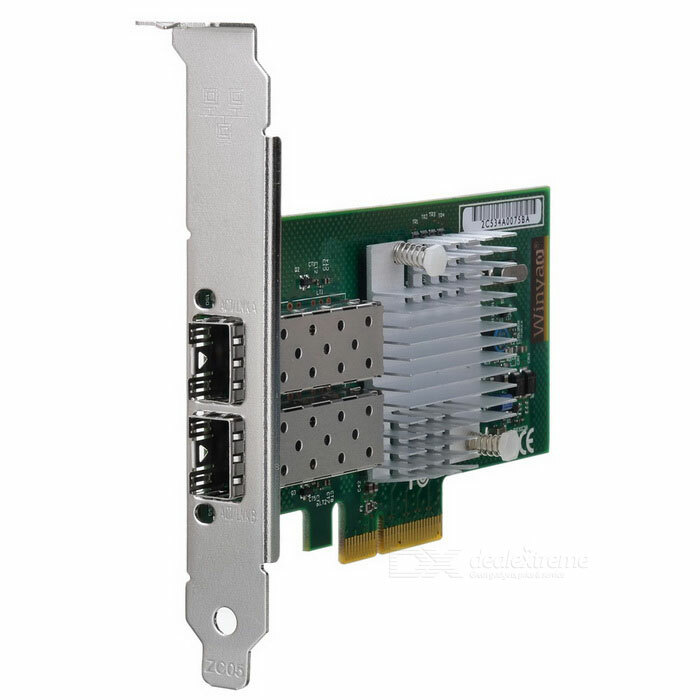 Description : .82575 10/100/1000Mbps PCI-Express 1000 PT Dual Port Server Adapter NIC. Description : .1, excellent quality 2, larger in stock 3, mix order accept , 4, price would be more competitive for larger quality demand, 5, serveral color for choice. 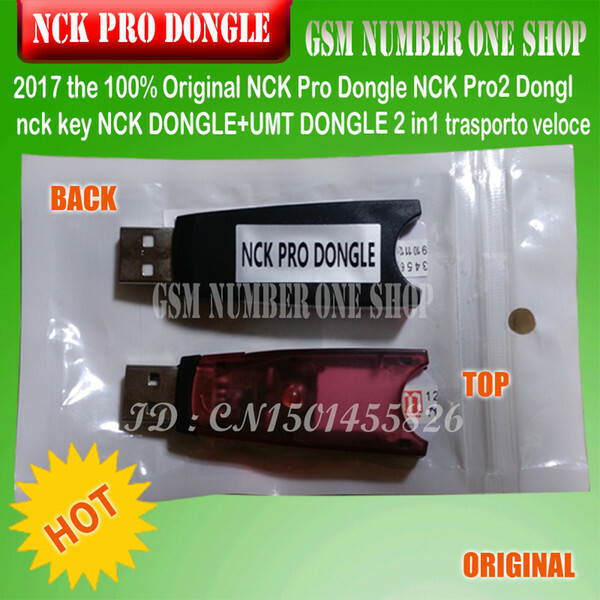 Description : .NCK Pro Dongle activated with ACT1, CDMA and Iden/Palm - unlimited phone flashing, mobile unlocking and code calculation (standalone, no server required) tool for Alcatel, BlackBerry, Doro, HTC, Huawei, LG, Motorola, Nokia, Pantech, Samsung, Sony Ericsson, SFR, ZTE and Palm cell phones.. 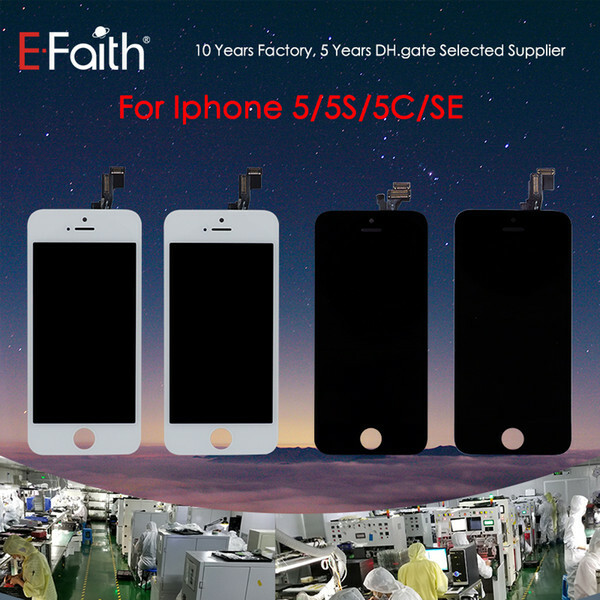 Description : .5 series LCD Replacemnt with the perfect touch have won the favor of many customers with free fast dhl Shipping. U deserver it. 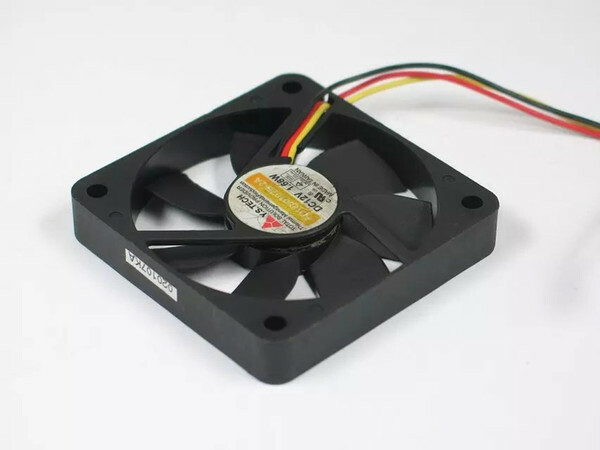 Description : .Computers & Networking > Computer Components > Fans & Cooling. 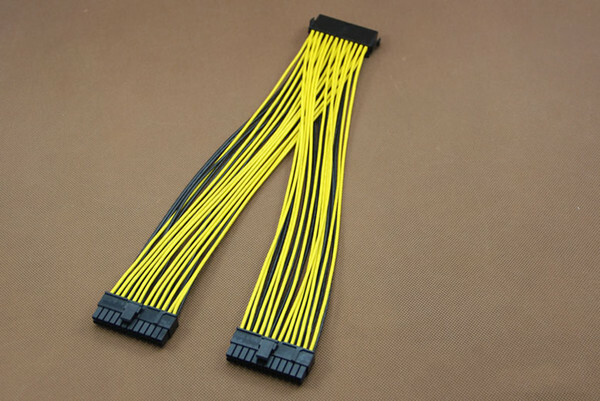 Description : .ATX 24Pin Splitter PC Server PSU ATX 24Pin 1 Female to 2 Male Y Splitter Motherboard Power Cable Cord 18AWG 30cm. 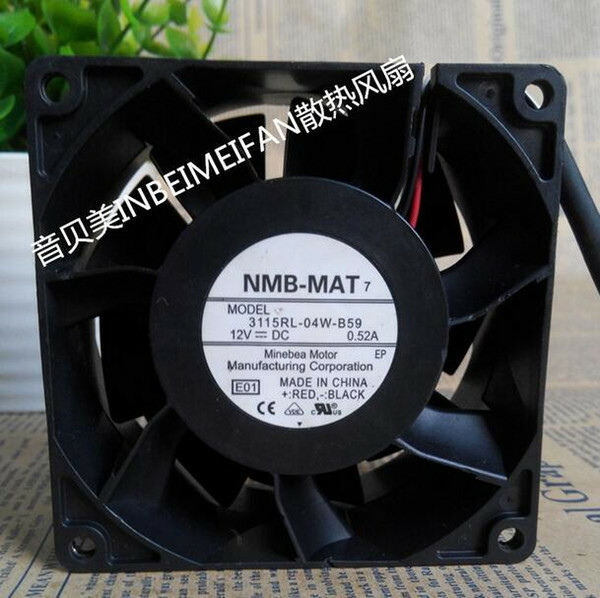 Description : .Original NMB 3110NL-04W-B50 8025 12V 0.29A twin ball server fan 8CM. 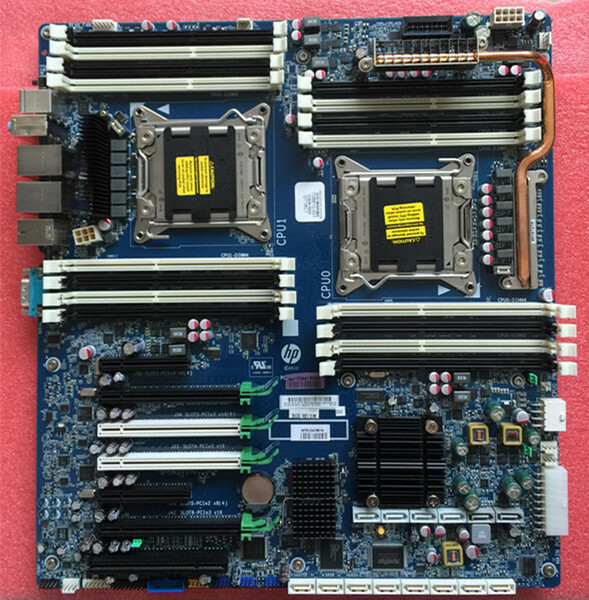 Description : .1 x PCI-E 1X Riser Card. 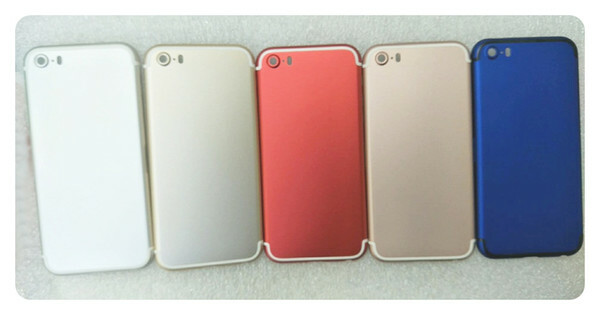 Description : .Factory price , the reliable trustworthy and helpful service , the fastest shipping ! Last but not the least : we only do the best to meet your requirement.. 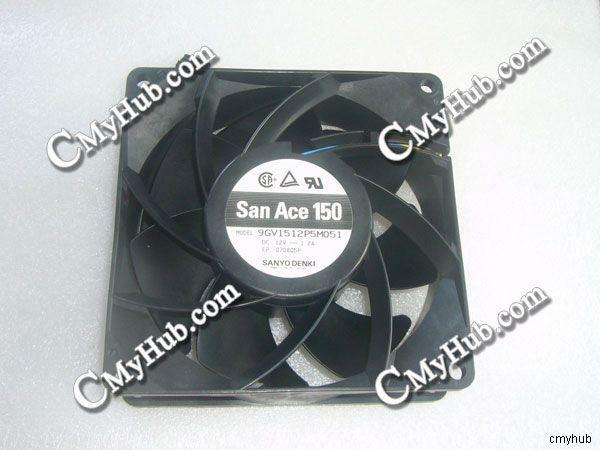 Description : .Server memory, common desktop incompatibility, please don't buy errors. If you don't know if it's compatible, your computer, please tell me your computer model, or give me your memory picture. We will recommend the best memory upgrades for your computer.. 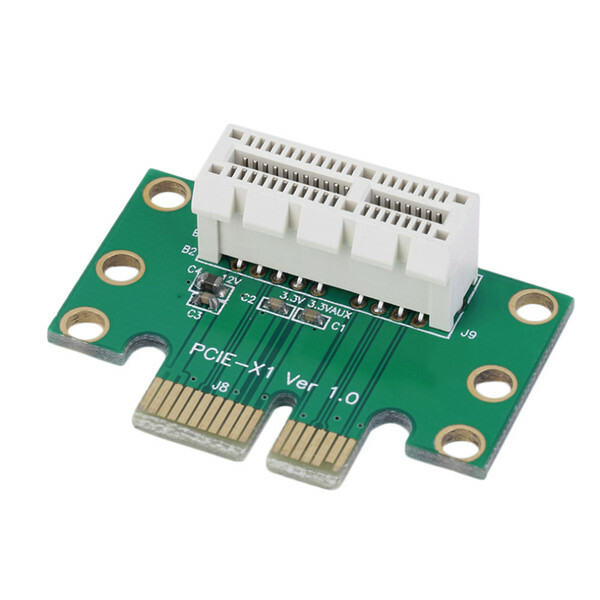 Description : .Find More Add On Cards Information about New New PCI E PCI Express 1X Adapter Riser Card 90 Degree For 1U Server Chassis Wholesale,High Quality pci express card,China pci card Suppliers, Cheap riser card pci-e. 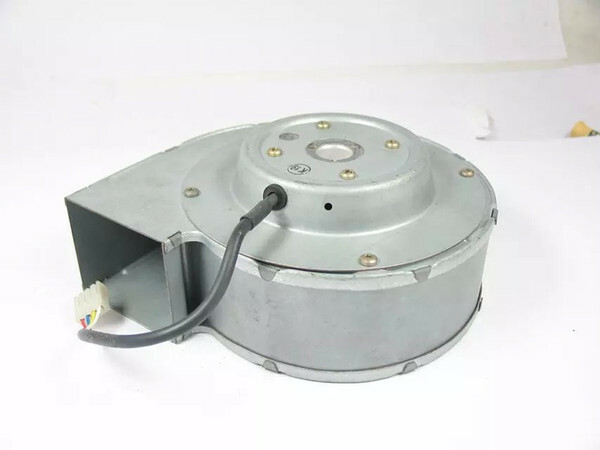 Description : .Model FFB0812EH Size 80 * 80 * 25mm Bearing double ball bearing Standard voltage 12V Current 0.80A Speed 0-6000RPM can also be applied to the motherboard 3PIN large amount of wind demand customers Keep the best continuous running time for 100,000 hours Fan interface board four-pin interface Additional features PWM intelligent temperature control, speed measurement. 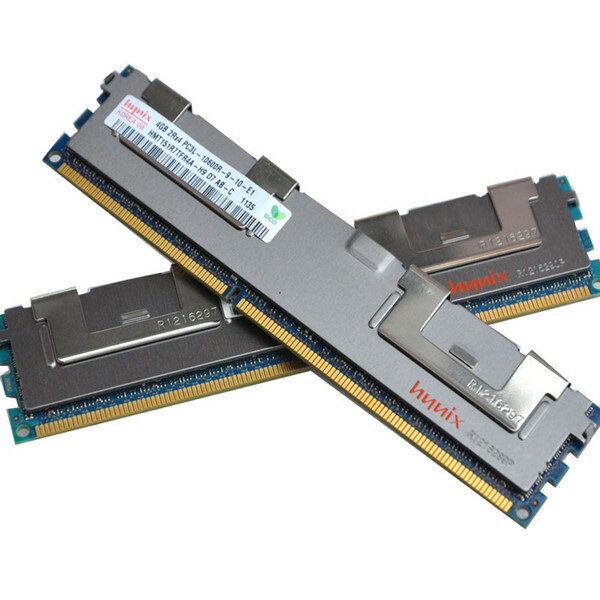 Description : .Memory Type : DDR3 Suit for : Server/Workstation. 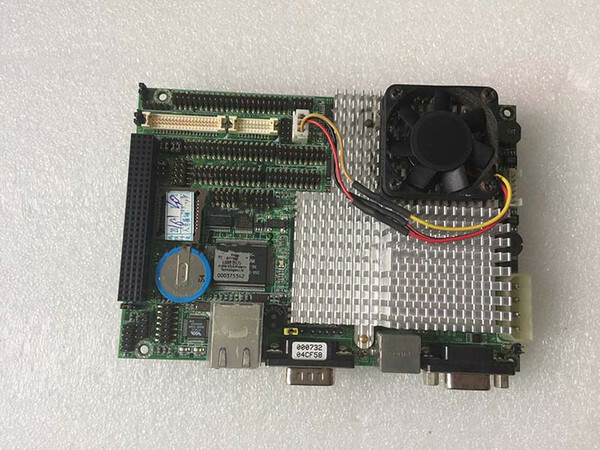 Description : .Chipset Manufacturer:IntelPorts:USB 2.0,VGA Form Factor:CEBLaunch Date:other Item Condition:Used GBApplication:Server Model number:Gene-6310 REV B1.0. 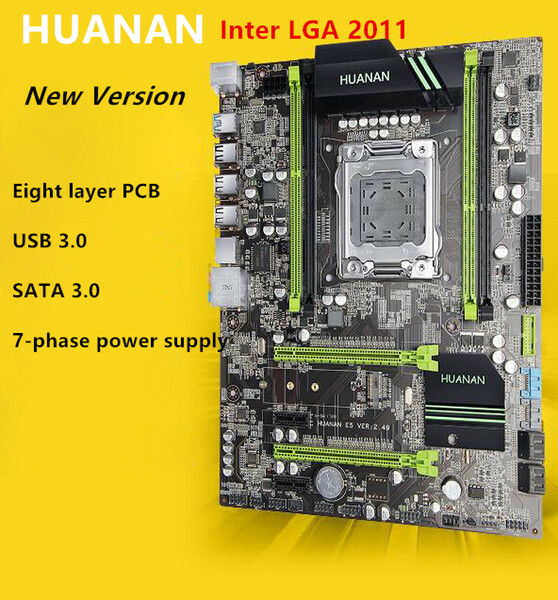 Description : .x79 V2.49 ATX Game motherboard support e5-2670 with 64g ecc server ram. 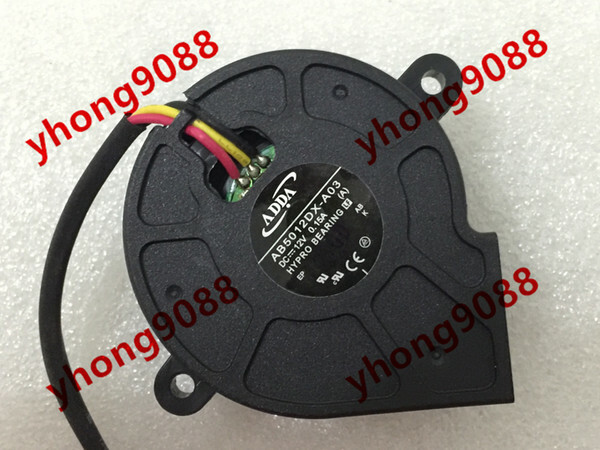 Description : .AC 48V 375mA 18W 5-wire 6-pin. 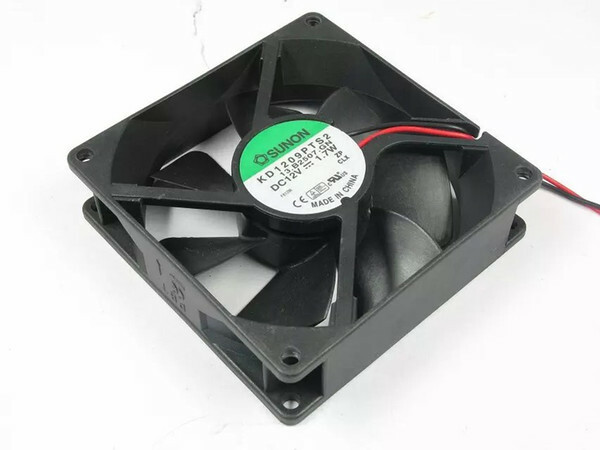 Description : .Cheap Fans & Cooling, Buy Directly from China Suppliers:Sunonwealth SUNONDimensions 40x40x20mmRated Voltage: 12VCurrent 1.7WModel ; GM2404PKVX - AThe Main Board of the joint st. Description : .² MIPS MCU with 4MB Flash and 8MB SRAM. Run on eCos ² Support TCP/IP/Telnet /Modbus TCP Protocol ² Support 2 channel RS232/RS422/RS485 to Ethernet/Wi-Fi Conversion, Serial Speed Upto 230400 bps ² Support Security Protocol Such As TLS/AES/DES3 ² Support Web OTA Wirelss Upgrade ² Wide DC Input 5~36VDC ² Size: 108 x 146 x 25 mm (L x W x H) ² FCC/CE/RoHS Certificated. 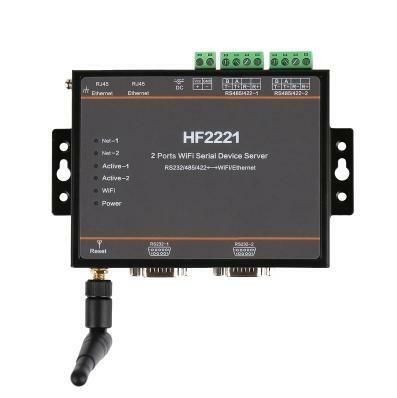 Description : .DPS-200PB-185 A, 101700342 100-240V 3.5A, 47-63Hz 190W. 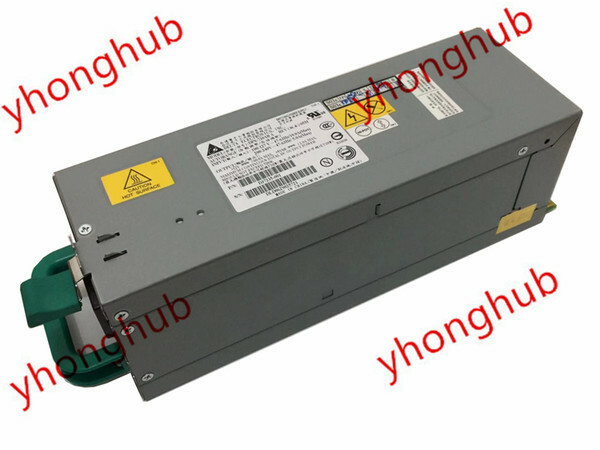 Description : .100-127V 10A, 200-240V 5A, 47-63Hz 730W. 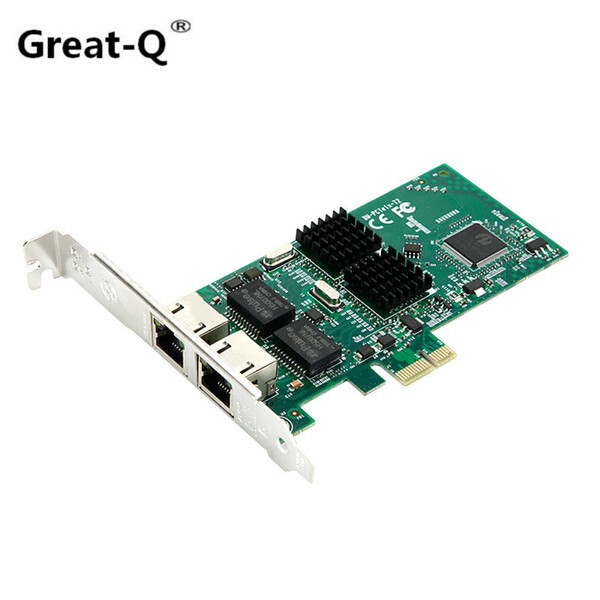 Description : .Great-Q Dual Port 1000Mbps PCI express Network Card PCIe 1x Gigabit Server LAN Adapter intel82541 chipest. 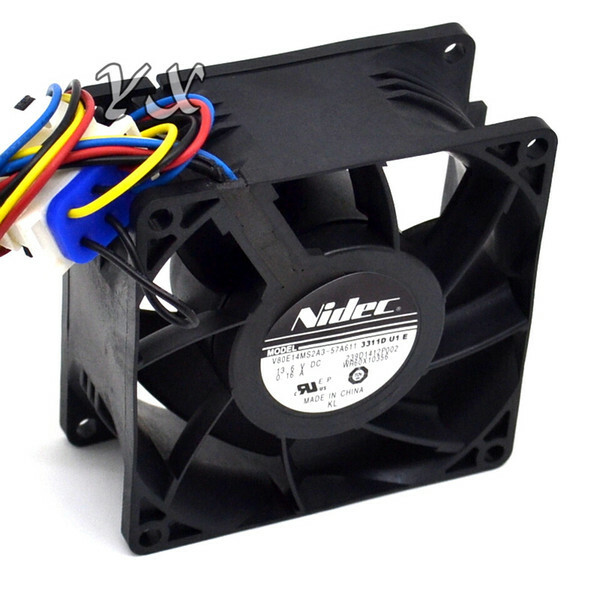 Description : .Brand: NIDEC Model: V80E14MS2A3-57A611 2525D U1 E 239D1412P001 WR60X10341 Specifications: 80MMX80MMX38MM Voltage: 13.6V Current: 0.16A Lead: 4-wire Interfaces, the original server interface. 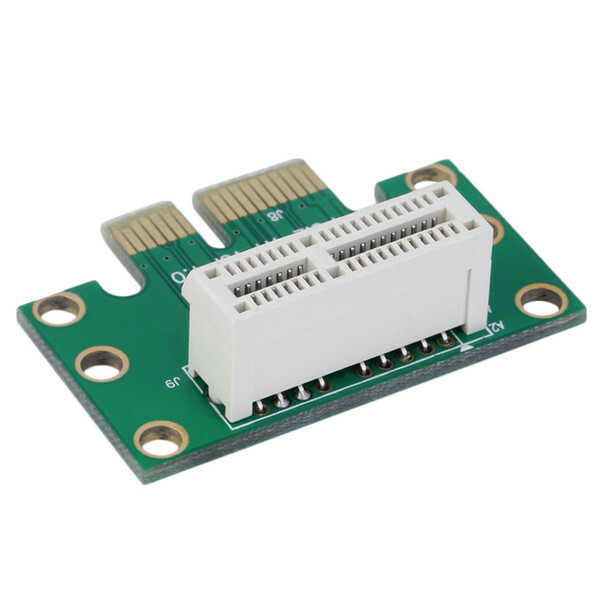 Description : .DC 12V 0.30A 3-wire 3-pin connector 70x70x15mm. 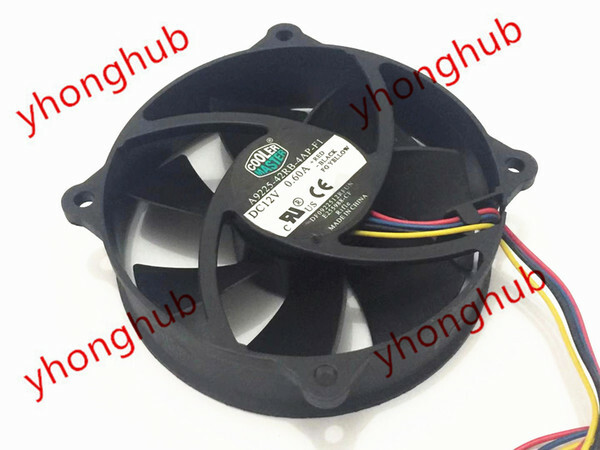 Description : .DC 48V 46W 4-wire 180X171X81mm. 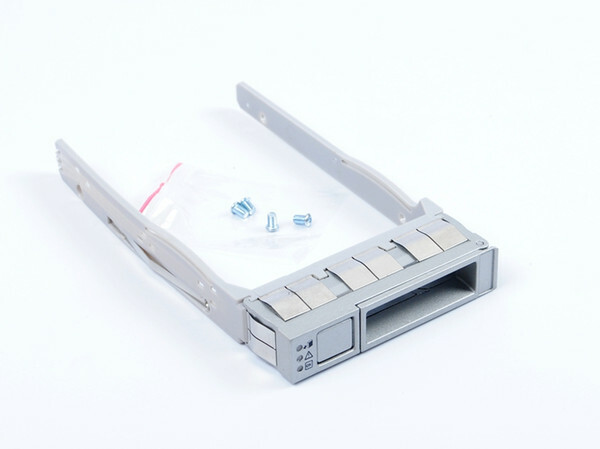 Description : .We wholesale cpu holder, our products are high, quality and low price, welcome to contact US and visit the factory,We are the bigest manufacturer in China. 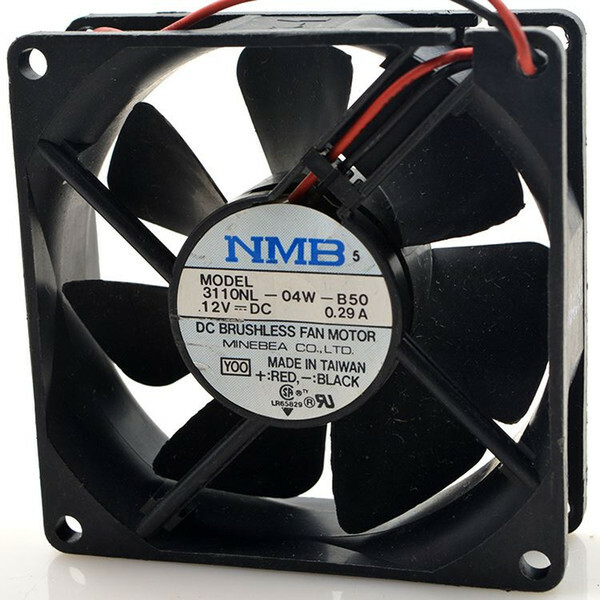 Description : .Brand: NMB Model: 3115RL-04W-B59 Size: 80*80*38mm Voltage: 12V Current: 0.52A Bearing: double ball bearing. 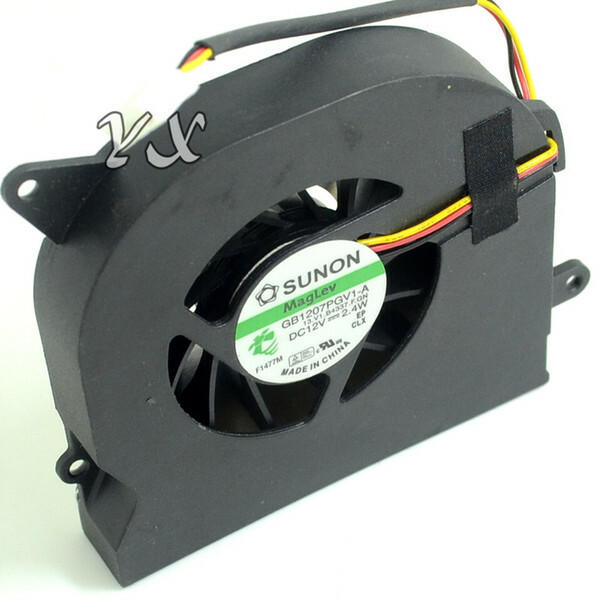 Description : .Original SUNON mg62990v1 - s99 - 5V 1.1W notebook fan q020. 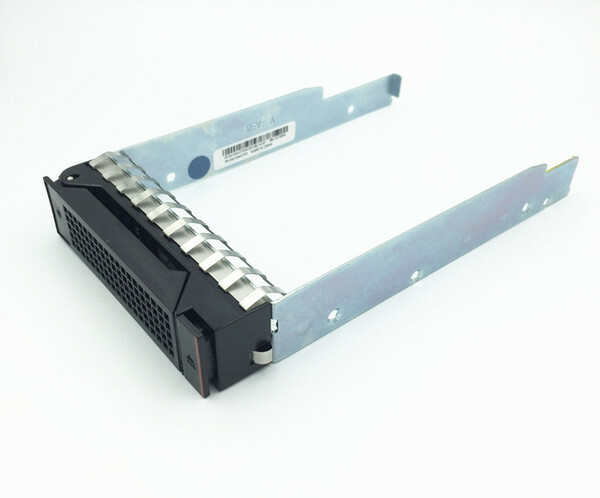 Description : .2.5"541-2123 SAS/SATA Hard Drive Tray For SUN + screws * Compatible Part Number: 541-2123It works for the following Sun servers that use 2.5" SATA hard drives (model list by no mean to be complete,Please double check the photo to see if it matches yours. ): - Netra T6340, X6270 M2 - SUN Blade X6240, X6270, X6270 M2 - SUN Fire X4140, X4240, X4170, X4170 M2 - SUN Fire X4150, X4250, X4270, X4270M2, X4440, X4450, X4470 - SPARC Enterprise T5120, T5220 - SPARC Enterprise T5140, T5240. 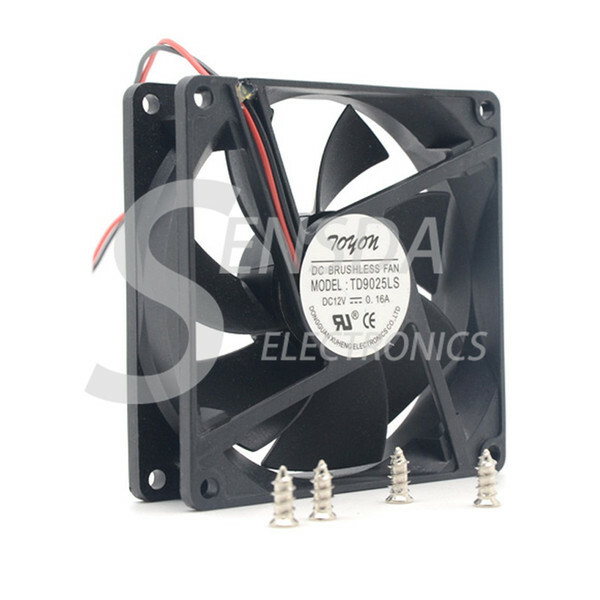 Description : .DC 12V 0.08A, 2-wire 40x40x10mm. 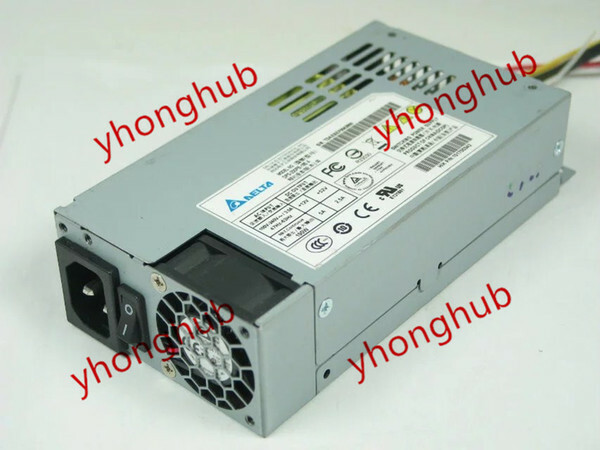 Description : .These caddies are used, but not limited to, HP ProLiant BL420c G8, BL460c G8,BL465c G8, BL660c G8, WS460c G8, DL160 G8, DL320e G8, DL360e G8, DL360P G8, DL380e G8, DL380p G8, DL385p G8, DL560 G8, ML310e G8, ML350e G8, ML350p G8, SL230s G8 and SL250s G8 servers and storage arrays to name but a few.. 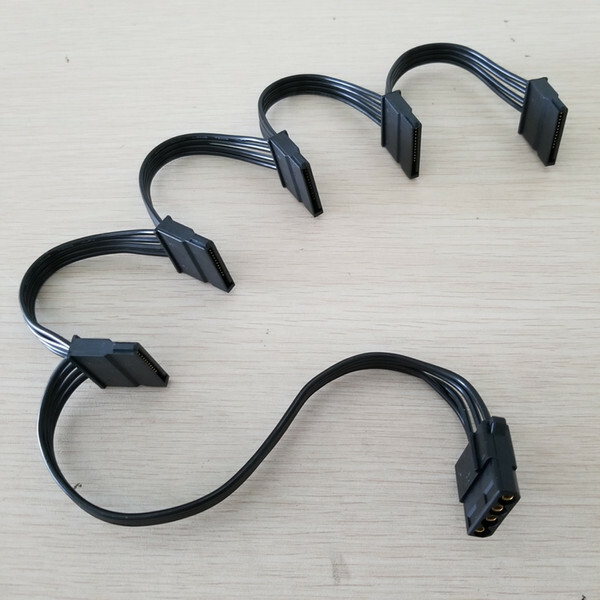 Description : .Feature: Cable Length:20cm+4 x 10cm Cable Specification:18AWG Interface:Plus 4Pin Female & 5 x SATA Straight Adapter. 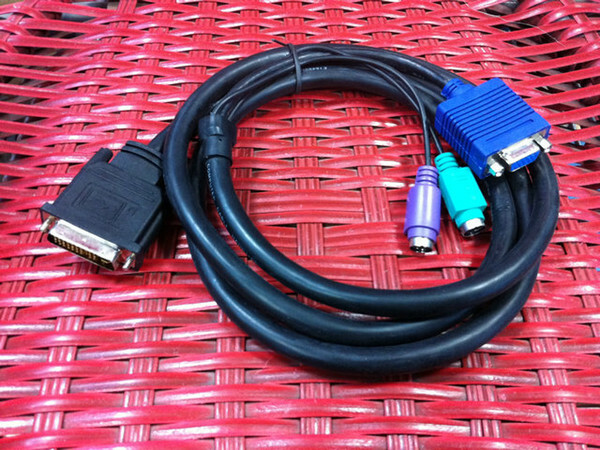 Description : .Feature: Cable Length:1.5M Color:Black Gender:Male to Female 30+5 to VGA MOUSE/KB. 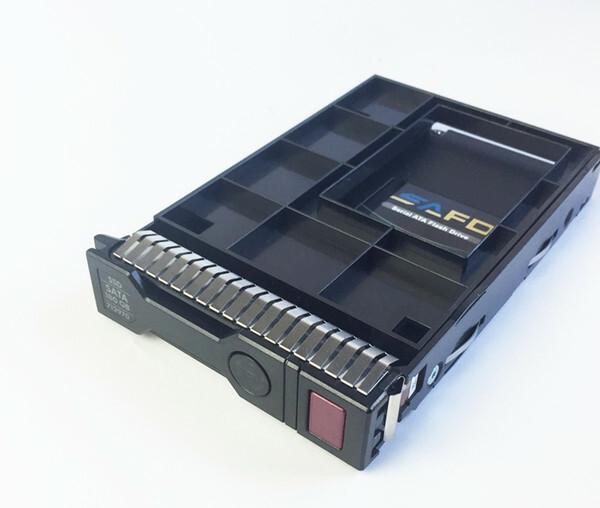 Description : .2.5" SATA/SSD drive in HP servers(GEN8/GEN9) that come with 3.5" (651314-001)hotswap drive cage.. 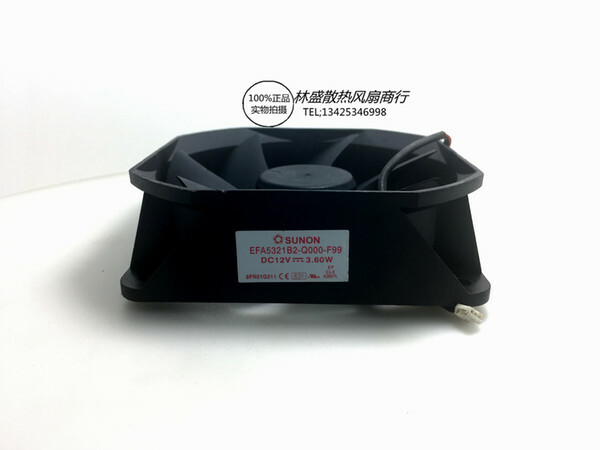 Description : .Part Description:1pcs * DC 12V 1.2A 5Pin 4Wire Server Cooling FanPart Number:Dell DP/N: CN-0NC466 NC466Part Info1:150mm 15cm 15050 150x150x50mmPart Info2:9GV1512P5M051Product Weight:350. 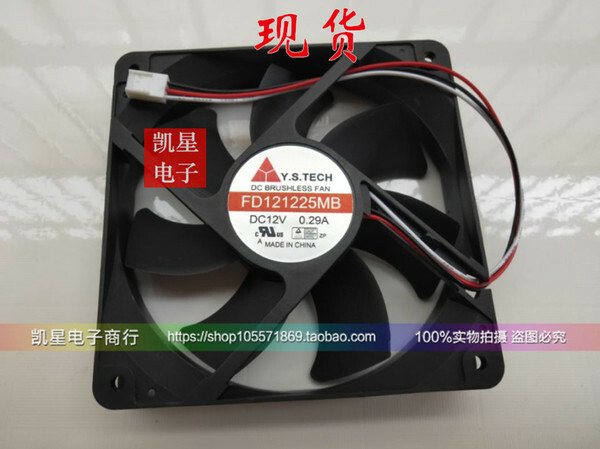 Description : .Fans & Cooling Cheap Fans & Cooling Emacro For Y.S.TECH FD121225MB DC 12V.We offer the best wholesale price, quality guarantee, professional e-business service and fast shipping . You will be satisfied with the shopping experience in our store. Look for long term businss with you.. Description : .t is compatible with all Lenovo RDx50 & TDx50 servers with 3.5" hotswap drive configurations. * RD350, RD450, RD550, RD650. 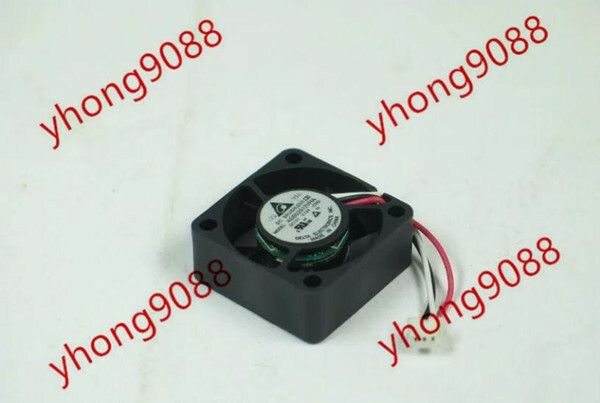 Description : .Brand : Delta DELTA Model : FFB0412HHN-5M01 Dimensions : 40 * 40 * 28mm Voltage : 12V Current : 0.17A Speed : 8000RPM Wind : 13.2CFM Pressure : 92.2PA Noise : 41DBA Weight : 32.21g. 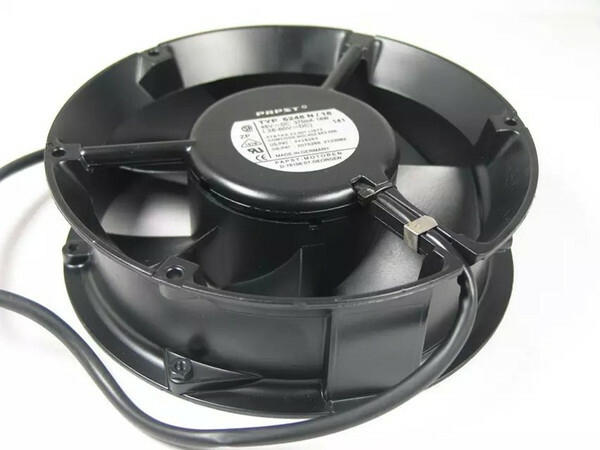 Description : .Cooler Master A9225-42RB-4AP-F1 DC 12V 0.60A 4-wire 4-Pin connector 85mm 95X95X25mm Server Cooling fan. Description : .Product quality good delivery fast buyers please buy!. 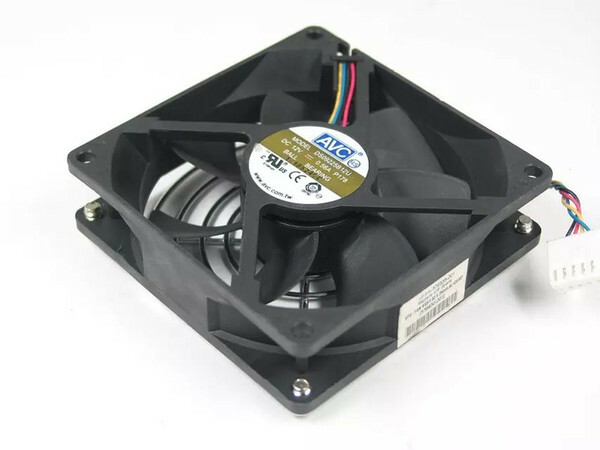 Description : .AVC DS09225B12U, P178 DC 12V 0.56A 4-wire 4-Pin connector 100mm 90x90x25mm Server Square Cooling fan. 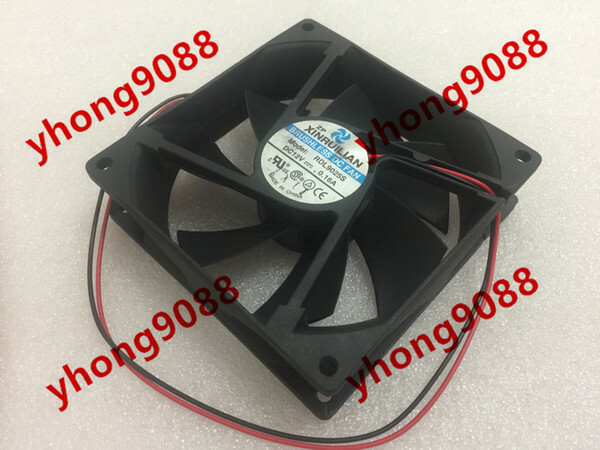 Description : .Free Shipping For ADDA AB5012DX-A03, (A) DC 12V 0.15A 3-wire 3-pin connector 70mm Server Blower Cooling fan. 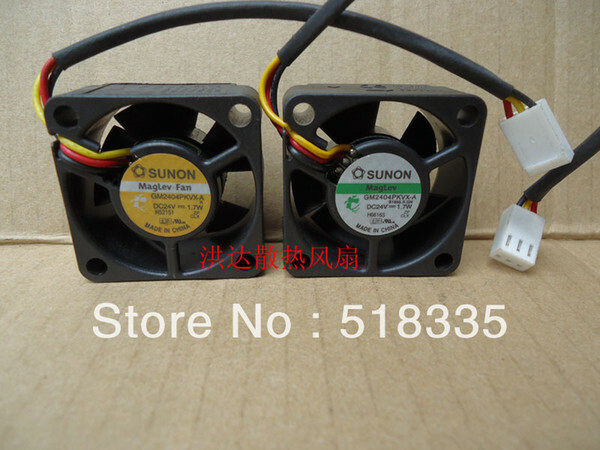 Description : .DC 12V 0.12A 3-wire 25x25x10mm. 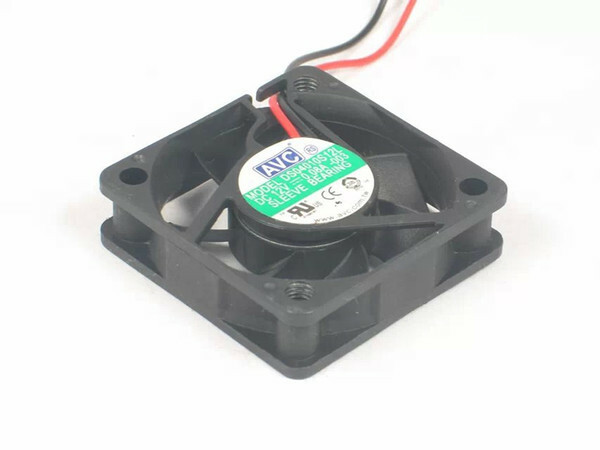 Description : .DC 12V 1.68W 3-wire 60x60x10mm. 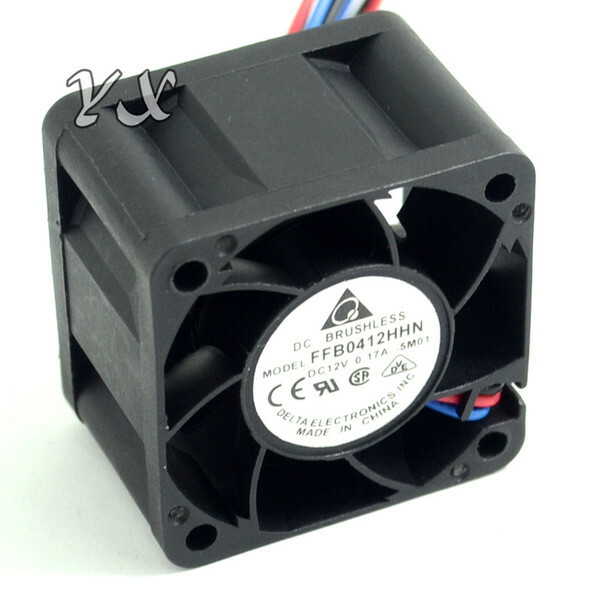 Description : .DC 12V 1.7W 2-wire 90x90x25mm. 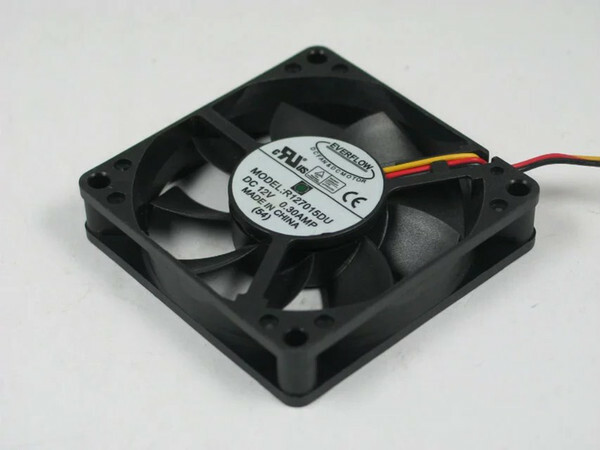 Description : .Free Shipping For XINRUILIAN RDL9025S DC 12V 0.16A 2-wire 2-pin connector 110mm 90x90x25mm Server Cooling Square fan.